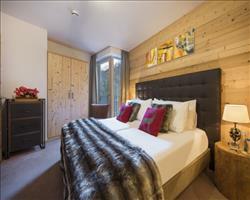 The Mountainstar chalets were built exclusively for guests in 2010. 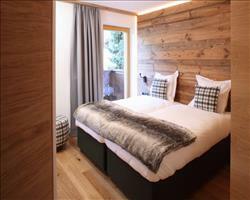 The emphasis is on style, comfort and attention to detail and the chalet Janus is proving to be one of our most popular in St Anton. 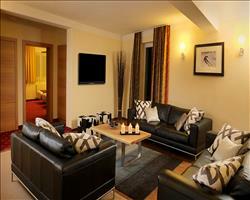 The open plan lounge/dining area in the chalet has a fireplace, flat screen TV and a balcony. 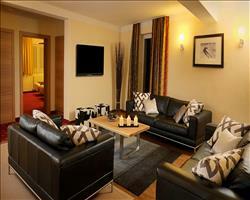 The ski and boot room is on the lower ground floor and shared with the Larissa, Thebe and Charon chalets. 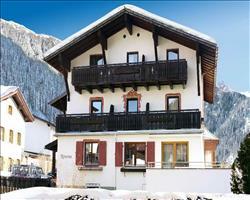 Entrance to chalet, Open-plan living/dining-room with fireplace and balcony, wellness area. 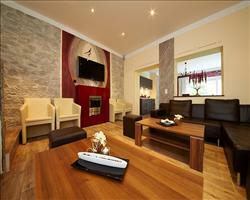 We update Chalet Janus's details often, but facilities do change. e.g. some extras listed by the supplier as "free" or included might only be for the first time you use them, or for one time per party, then charged for further use. If any specific feature is essential to your holiday, make sure you ask us to confirm the details of it before you book your holiday. 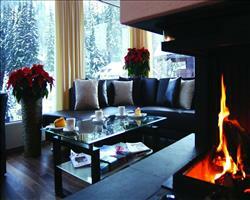 St Anton lift pass price last reported as €228 (adult 6 day). 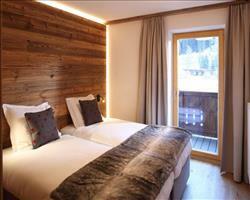 Ask for a quote when booking Chalet Janus. 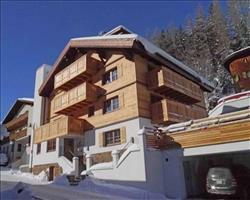 "Well located away from the hub but still near the lift"
The best thing about the chalet was the price; we got a really good deal with Sno so the holiday was good value for money. Chalet Janus has a very good location, a bit away from the hub but you could walk down to the nasserein lift in 5 or so minutes and go to the slopes from there. The food was very good although the breakfast left on the host’s day off wasn’t that great – not as it looked in the brochure put it that way! On other mornings we had all sorts, cooked food, fruit, breads, cereals etc. The evening meals were always very good. Located on the top floor with all the rooms having a balcony, you get a spectacular view of the resort and surrounding mountain scenery. It's a very comfortable chalet and has been sympathetically modernised, but what really makes it for me are the great hosts who always make you feel so at home. They cook up a storm in the kitchen to feed you a wonderful 3 or 4 course meal in the evenings with will happily advise you on the best places to get fresh tracks after a dump or find quitter skiing on peak dates when everyone's skiing the school holidays.